Connect services, assets, crew and passengers with proven aerospace industry-specific architectures and technologies. 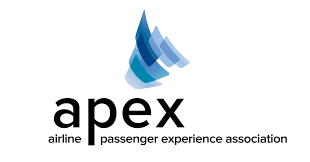 Digital platforms built on Axinom’s product portfolio for the aerospace industry allow customers to manage and distribute all on-board content, from live TV channels to on-board promotional videos or any other entertainment content and elevate the passenger experience on-board of their aircraft. Axinom product portfolio features five main components – content management system (Axinom CMS), multi-DRM service (Axinom DRM), ingest and processing (Axinom VIP), content delivery system (Axinom CDS), in-flight services (Axinom IFS) – and custom on-board software and interfaces for IFEC portals. Our platform approach supports both cloud based and on premises IT infrastructures for a wide set of disconnected management and delivery scenarios. Axinom allows customers to integrate any required third-party systems and applications with their digital platform. Learn more about the capabilities of digital platforms built on Axinom below and contact us anytime to discover more about our cutting-edge technology and our innovations in the IFEC space. Axinom Live TV brings a stable service over a difficult connection environment in aerospace market. We support an unlimited number of parallel live streams, offer good device compatibility, support of Digital Rights Management and further features integrations, such as advertising, EPG, and many more. The system constantly analyses Live TV consumption on board an entire fleet and optimizes bandwidth utilization for best user experience. Thanks to the innovative smart traffic management technology traffic on-board can be prioritized, so most watched channels are allowed to consume more bandwidth on the satellite link, thus providing the best possible user experience. Axinom captive portal solutions can incorporate and unify seamlessly several connectivity options in order to optimize user experience, bandwidth utilization, and cost. Additionally, customers can choose to include IFE options to their captive portals such as streaming of video on demand content, on board shopping, merchandizing, advertising, and more. Unified cabin and IFEC management enables customers to improve the working flows of their cabin crew and offer an engaging on board experience to the passengers. The crew can easily access the seat plan and manage the promotions for individual passengers, run the passenger announcements on the seatbacks and personal devices, control the climate and cabin lightning etc. Furthermore, the crew can upload new content and software updates to the IFE and upload usage data. Health monitoring of the crew panel enables preventive maintenance and early detection of system failures based on present and historic values of signals from built-in sensors and detectors which are captured in the media server. On-board shopping capability of a platform built by Axinom makes it possible to include self-service shopping through a seatback screen or passenger’s personal device while maintaining PCI compliance. Furthermore, it is possible to customize on-board shopping options to match the passengers’ preferences, define advertisements, promotions, coupons or special offers based on demographic, geographic or any other segmenting option. Built on Axinom’s product portfolio, these digital platforms allow customers to integrate and manage payment providers, loyalty programs, prices, subscriptions, products, purchase history, etc. With fleet management, customers can assign content to specific aircraft type or to each flight, thereby minimizing the time needed to separately deliver content on-board of an aircraft. 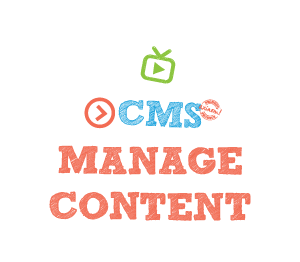 Through Axinom CMS’ user interface, customers can manage any type of content on-ground, package it into content sets and prepare for the on-board delivery. Content sets are one of the main features in Axinom’s platform approach, because they give a full freedom to organize the content and deliver it to any kind of platform. The diversity of client devices capable of playing streaming videos has seen a sharp increase, including a variety of mobile devices and laptops. Having the latest Hollywood movies prepared in time for on-board entertainment is vital for every service provider. Unfortunately, licensing agreements for premium content used by Hollywood studios require an MPAA-grade pipeline for encoding and packaging. 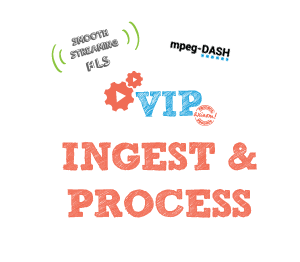 With Axinom VIP (Video Ingest and Processing), as a brand new software component in the concept of digital platforms built on Axinom, customers rely on comprehensive abilities to manage and optimise encoding and transcoding workflows on-premise and in the cloud. Axinom VIP represents a quick and easy way for service providers to deliver the best movies faster and more easily to the passengers. Based on Axinom CMS, an extensible content management system designed to cover the full end-to-end media workflow, Axinom is building digital platforms for management of existing in-seat IFE systems, as well as for portable on-board servers since several years for clients around the world. The path to premium video content fresh from theatres provided by Hollywood studios and streamed to devices on flights features a set of stringent requirements in relation to data security in order to safeguard content copyright. Axinom works since years very closely with leading Hollywood studios to build secure content stores for premium video content stored on-premises data centres and in the cloud. Axinom DRM is highly scalable multi-DRM service. It is the first multi-DRM product that can operate in a disconnected fashion enabling premium video on board of more than a hundred aircraft in the world today. 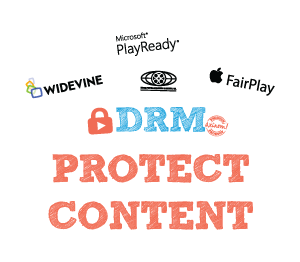 It supports leading DRM technologies on laptops and mobile devices. Axinom is providing access to best of breed free secure players for Microsoft Windows and Apple OSX/MacOS and the majority of popular client devices – tablets, mobile phones, game consoles and Smart TVs. Today’s services in an aircraft have several challenges. Networks can be slow and unreliable, bandwidth can be changing or costly, data can be personal and critical. A world with ubiquitous connectivity will never exist. Traffic quotas, allocated bandwidth, availability of connectivity, storage space, computational power, data security, privacy and many other resources and requirements cannot be taken for granted. Axinom provides digital platforms with foundational data management services on top of the communication layer enabling the creation of new and extension of existing services. 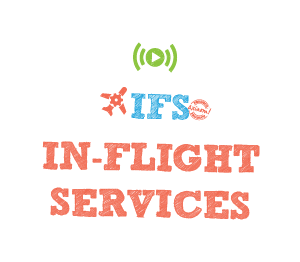 Axinom IFS (In-Flight Services) functions as a software component of an IFEC system, querying, filtering, veryfing access and streaming the content to the client applications on passengers’ devices. Through Axinom IFS as a middleware, client apps are receiving different types of content, such as VOD content libraries, Live TV channels, advertisements, payment gateways and merchant information, monetization and reporting content, information on the content synchronization, software maintenance and updates and more. Axinom is building second screen applications (companion apps) which allow passengers to control their seatback IFE monitor using the in-flight Wi-Fi network onboard the aircraft. As a PCI compliant software vendor, Axinom is building mobile applications connected to payment gateways allowing e-commerce transaction in online and offline scenarios on board of the aircraft. Worldwide Business kathy ireland®, a business show that focuses on the most innovative and forward-thinking business leaders, examines the next generation of in-flight entertainment, infotainment, and aerospace connectivity solutions. In this episode, host Kathy Ireland interviews Ralph Wagner, Axinom’s Aerospace CEO. Wagner begins by noting that today’s travelers want to have all of their home entertainment, personal connectivity, and office information readily available at all times, even when traveling by plane, train, or other disconnected environment. 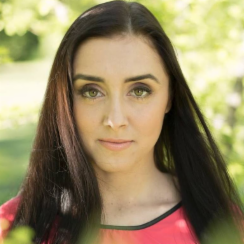 Axinom addresses this need, he says, by preparing the content on the ground, adding the necessary security protections, and distributing it to the vehicle in question.